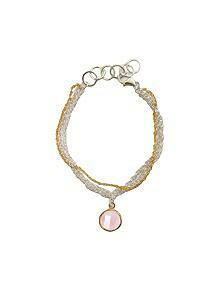 Sterling silver and gold plate multi-strand bracelet. Rose quartz stone charm set in gold plate bezel. Adjustable closure.